President Pranab Mukherjee and Vice-President Hamid Ansari, on 5 September, wished the people on the auspicious occasion of Ganesh Chaturthi which is being celebrated with great fervour all across the nation. In his message, President Mukherjee hoped that Lord Ganesha remove all obstacles on the path of progress and prosperity of the nation. He asked the people to dedicate the day for building a strong and vibrant nation. 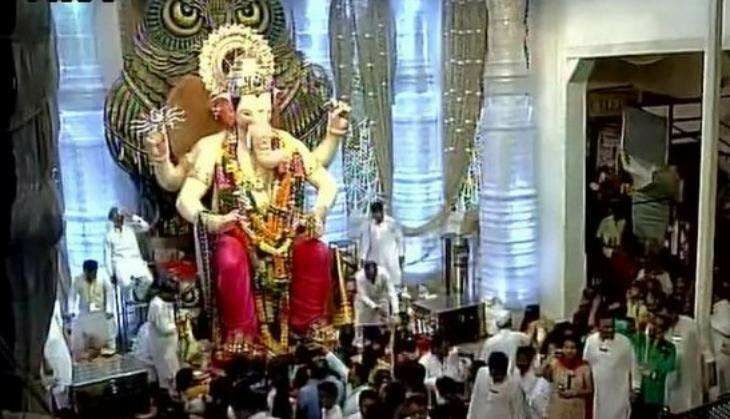 Vice President Hamid Ansari said that Lord Ganesh is revered as an embodiment of wisdom, prosperity and good fortune in the country. He added invoking Lord Ganesh, before start of any good work and project, is a common practice. He hoped that this festival will bring peace, harmony and prosperity in the country. The ten-day-long Ganesh Utsav begins on 5 September and Mumbai has decked up to welcome its favourite Lord Ganesha. This year, Mumbai will have about 6,300 sarvajanik Ganesh pandals, more than 1.2 lakh home Ganesh idols and about 9,000 Gauri idols.